A feedback control system usually implements active and semi-active control of seismically excited structures. performance index. 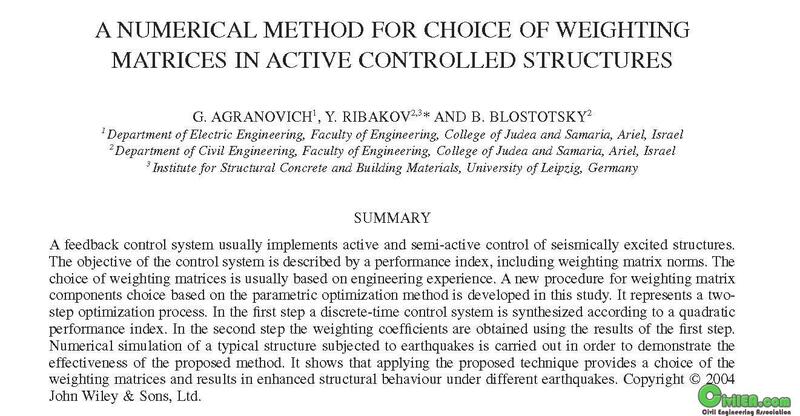 In the second step the weighting coefficients are obtained using the results of the first step.